I cannot ensure that the urine samples will be safely handled under these temporary conditions during construction. 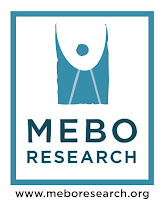 The MEBO TMAU Test Program will be temporarily suspended effective June 1, 2015 for 3 to 4 months due to construction in my house, from where I work. This construction requires that I move to another location during this period of time, and I cannot ensure that the urine samples will be safely handled under these temporary conditions during construction. I need to receive all samples for Batch #15 by May 29th. I already have seven (7) samples in my possession, and therefore need to get 8 more to complete 15 for Batch #15. Once I have received samples from 15 persons, I will be able to ship the batch to the lab before the program is suspended. Anyone who has purchased a kit for Batch #15 and has it in their possession needs to send the samples to me by May 29th or wait until the program resumes sometime in October or November. Anyone who has filled out the online Requisition Form, but has not paid for the test, please note that your application will remain on record, but you will need to notify me via email of your interest after the program resumes.